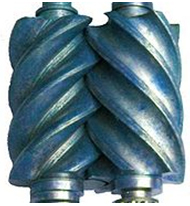 In Pump design, shear sensitivity is an important factor. Shear sensitivity refers to the response of a liquid when the shear forces inside a pump increase. Shear forces increase as the pump speed increases. Water is a shear insensitive liquid. That is, even if the water is stirred fast it does not change its viscosity. There are substances in which the viscosity of the liquid changes when shear forces are applied. Viscosity is a fundamental property of the liquid. The change in viscosity can affects other processes. Hence, when pumps is selected, the shear sensitivity of the liquid should also be kept in mind. Shear sensitive liquids are pumped using low speed pumps where the shear is minimal.